On Dec. 6, the Faculty of Arts and Sciences voted by a large majority to exclude Indian economist Subramanian Swamy’s courses from this year’s Harvard Summer School offerings. The proposal, brought forward by Comparative Religion Professor Diana L. Eck, referenced Swamy’s inflammatory op-ed published last year in the Indian newspaper Daily News and Analysis. In the piece, Swamy calls for the destruction of mosques as retaliation for terrorist attacks in India, as well as the disenfranchisement of Indian Muslims who refuse to acknowledge Hindu ancestry. Swamy's op-ed clearly constitutes hate speech, by even the most lenient definition. As a matter of principle, there is no place for hate speech in the Harvard community. Regardless of whether Swamy’s article actually has the ability to incite violence, the worthless, hateful bile contained therein itself ought to disqualify the man from teaching at our University. The faculty’s decision to remove Swamy from the teaching roster was wise, just, and reasonable. For better or for worse, the Harvard name has the ability to lend authority, legitimacy, and gravitas to anyone wielding it. Indeed, Swamy has been known to invoke his status as a Harvard professor to bolster his image in India. Considering that Swamy uses whatever prominence he has as a platform to malign the world’s Muslims, trumpeting a thickheaded and violent brand of Hindu hyper-nationalism, Harvard must not continue to add legitimacy to his name. Swamy has shown himself to be unfit to be a member of the Harvard community, and we are thrilled that he will not be teaching this summer. Although Swamy’s words alone would be reason enough to revoke his permission to teach, there is the further concern that his publications may incite religious violence. We live in a world that is already too plagued by sectarian conflict and needless bloodshed; the possibility that a Harvard faculty member would contribute to such tragedy is unthinkable. Again, there is no place for such a person on the Harvard faculty. Swamy has argued that FAS’s decision is “dangerous” and infringes on his right to free speech. Yet, there is an important line between speech that is unpopular and controversial—and which ought to be protected—and that which is needlessly inflammatory and indefensible. It’s clear which side of the line Swamy’s words fall on. The Harvard community has an obligation to maintain a minimum standard of decency among its members. Those who stand for bigotry, hatred, and violence have no place instructing students or wearing the Harvard name. We commend the faculty for their principled decision. While Harvard stands by its professors rights to free speech, India is not quite as tolerant of Harvard-educated economist Subramanian Swamy. 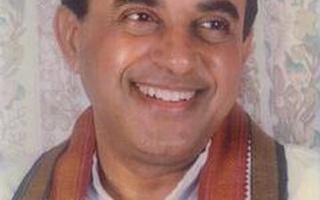 Swamy has been charged with "spreading enmity" between India's Hindus and Muslims. Tuesday’s Faculty Meeting—the last of the calendar year—had not one, but two impassioned discussions, forcing faculty members into the first vote on a motion in the past year. At Tuesday's Faculty Meeting, faculty members challenged the University's response to Occupy Harvard and voted to remove two summer economics courses taught by controversial Indian politician Subramanian Swamy from the course catalog. Some professors are unsure what this decision might say about free expression at Harvard and question the precedent the decision sets for removing professors from the University based on their political views.